Sebastian Vettel continued Ferrari’s impressive times to top the timesheets as testing drew to a close in Barcelona. 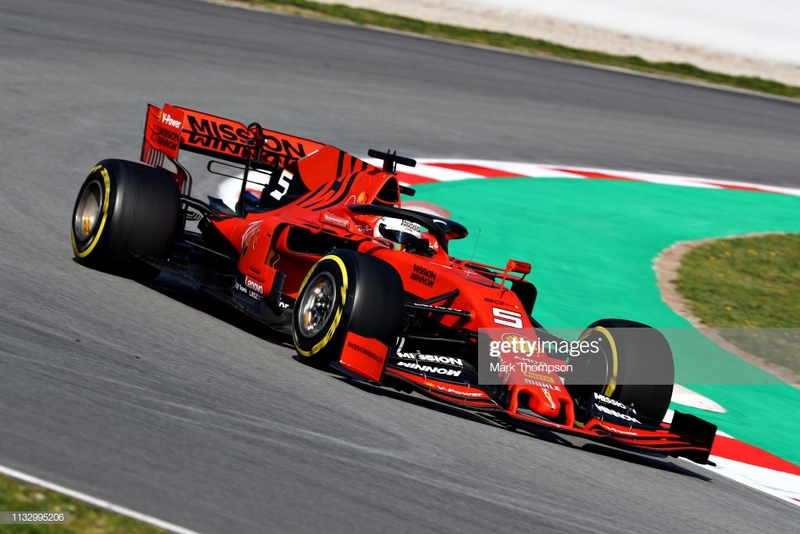 The final action in Spain saw Vettel set the fastest time in testing so far with a 1m16.221 using the C5 tyres, with team-mate Charles Leclerc setting a similar lap time on Thursday using the same tyre compound. During the afternoon, however, Vettel brought out the red flag after stopping his car at turn three, completing 110 laps beforehand. Despite the issue, the times will be encouraging for Ferrari, who have not won a world championship since 2007. After seven days of not challenging the best times, Mercedes showed their speed after Lewis Hamilton ended the day second quickest. The German team had a slow start to 2019, although the Brit, also using the C5 tyres, was only fractionally slower than Vettel. Valtteri Bottas also managed to set a quick time, although was three tenths down on Hamilton and ended the day third quickest. However, the times from both Ferrari and Mercedes indicate 2019 could be another close match-up between the two teams. Nico Hulkenberg was also quick, managing to dip into the 1m16s in the afternoon, putting his Renault fourth quickest by the end of the day. Daniil Kvyat continued Toro Rosso’s good form to end the day fifth fastest, whilst McLaren driver Carlos Sainz was only marginally slower behind in sixth. Following an off day for Haas on Thursday, Romain Grosjean was able to put his car seventh in the timings, with Daniel Ricciardo eight by the end of the day. Kimi Raikkonen ended the day ninth fastest in his Alfa Romeo, bringing out the red flag in the morning after stopping on circuit just before the lunch break, with Kevin Magnussen going 10th quickest. Max Verstappen ended the day 11th fastest on the C3 tyres, showing good pace from the new Honda-powered Red Bull after dipping into the 1m17s. However, the new RB15 suffered a gearbox issue, limiting the team’s running during the final day of testing. Sergio Perez could only set the 12th fastest time for Racing Point, with Robert Kubica in 13th, both drivers using the C5 tyres. Williams still remain off the pace, with Kubica a second down on Perez’s time and over two seconds slower than Vettel’s fastest time.